I think we can officially say there's a market for smartwatches. 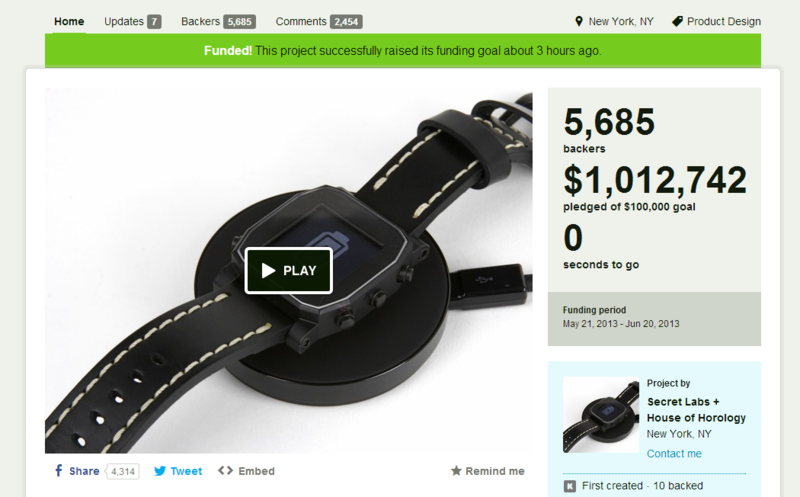 The first major player in the game was Pebble, which received a massive $10 million in funding throughout the duration of its Kickstarter campaign; now, Agent joins the million dollar club, as it just hit $1m mark – a full ten times its $100k goal (which it actually blasted through in less than 12 hours). For those who may not have heard of Agent, it's supposedly the smartest of all smartwatches. Packing two processors (one for low-power tasks), a waterproof coating, support for Bluetooth 4.0 Low Energy, a several different sensors, Agent looks to cover all the bases anyone could want in a watch. While the time has come and gone to grab one for a "reduced price" of $129 – a price only valid during the device's Kickstarter campaign – the Agent is expected to become available later this year for a suggested retail price for $250. For more information on Agent, along with what to expect from the final product, head over the project's Kickstarter page.